Dave Kerzner, out of Miami, is known for co-founding the award-winning band Sound of Contact with Simon Collins (son of Phil Collins). He and his band are a popular returning favorite on Yess Cruise To The Edge. They are now touring to support Kerzners brand new solo album Static which features special guest musicians from bands such as Pink Floyd (Durga McBroom), Genesis (Steve Hackett), Porcupine Tree (Colin Edwin) and more! Chicago’s District 97 has been wowing audiences and listeners worldwide for nearly a decade. Fronted by the charismatic, powerhouse female vocalist Leslie Hunt, they will feature songs from their highly acclaimed album In Vaults, as well as unheard music destined for their upcoming release. Additional tracks from across their previous albums will also be spotlighted, including classic King Crimson material theyve performed live with the late, great John Wetton. These two groups performed together in Europe to enthusiastic crowds in 2016 and now with their Static Vaults Tour they are bringing this beloved double progressive rock show back home, performing the US together for the first time! 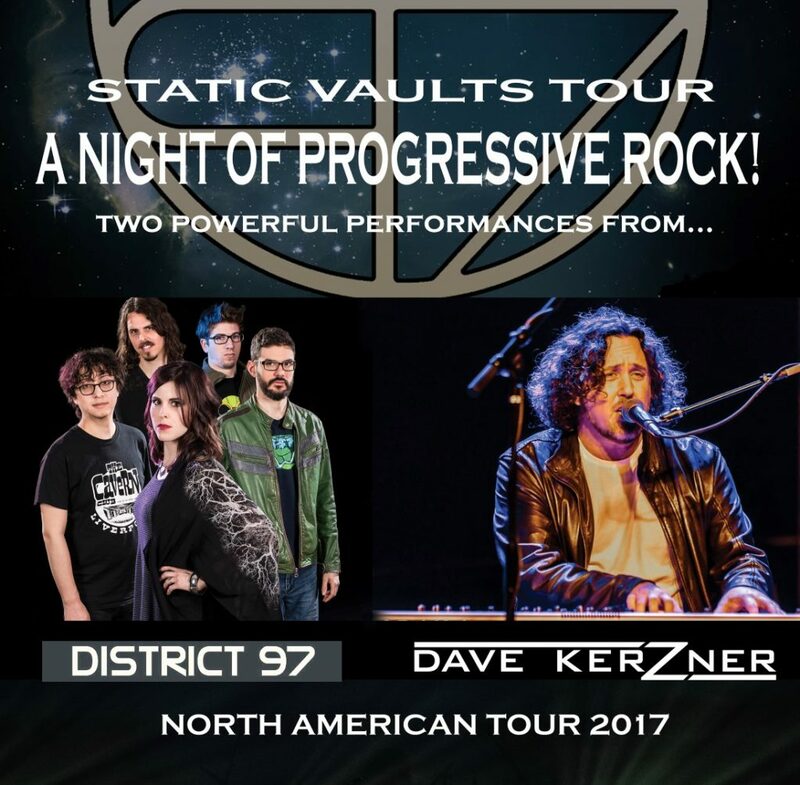 Dont miss an epic evening of PROGRESSIVE ROCK with the Dave Kerzner Band and District 97!